The automobile industry continued losing customers in February as all the segments saw significant decline in sales due to high interest rates, subdued market sentiments and high cost of insurance. This is the seventh month since July that has seen a decline. The industry sold 20,34,768 units of automobiles last month, down 3.65 per cent compared to 21,11,804 units in the same month last year, according to data from the Society of Automobile Manufacturers Association (Siam). These are the wholesale numbers as the companies do not reveal their retail sales data. Experts feel the tepid situation would continue till the general elections as customers will hold on to their investments. 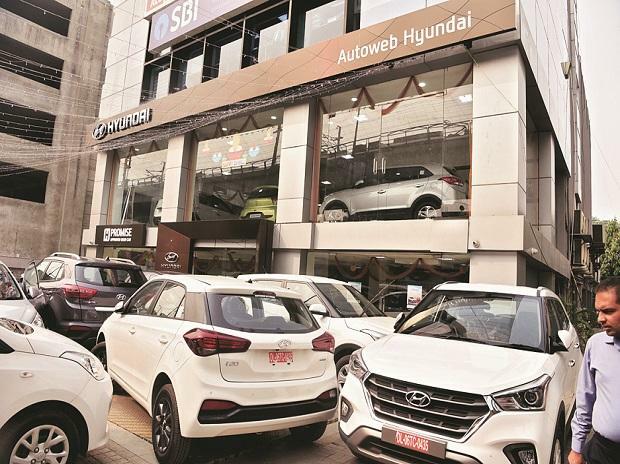 Car sales saw fourth consecutive month of decline of 1.11 per cent at 2,72,284 units in February 2019 compared to 2,75,346 units in the same month a year ago. In November, December, and January car sales declined by 3.43 per cent, 0.43 per cent, and 1.87 per cent, respectively. Car sales last saw growth in October 2018, when the segment grew marginally by 1 per cent. Revised axle norms, prevailing liquidity crunch, slow performance of core sector dragged the demand of commercial vehicles down by 0.43 per cent at 87,436 units in the second month of 2019. Within the segment, the highest de-growth can be seen in the medium and the heavy trucks segment, which declined by 8.77 per cent, suff­­ering an additional brunt of high-base effect. Sales of two-wheelers also decreased by 4.22 per cent at 16,15,071 units due to low urban demand and impact of the revised insurance premiums. Three-wheeler sales, showing a similar trend, were down by 4.14 per cent at 59,875 units last month. "Auto retails and wholesales have not been doing well since the floods in Kerala last year. With the election coming up, automobile purchases will remain lower," said Sugata Sen, deputy director general, Siam.